My name is Bob and I just got a YS640 in April and I love it. 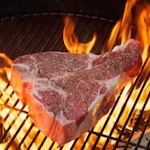 My weekly meat bill has gone out of sight lol. I cook about once a week for the family and they love the food that it cooks. Now I got people asking me if I will cook BBQ for Them. The Yoder family builds one heck of a cooker!! 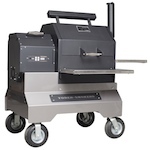 Is the Yoder your first pellet grill? oldcoot125 wrote: The Yoder family builds one heck of a cooker!! Welcome Bob, you are not wrong!